I visited the Dolomites in the summer of 2017 for the first time. We had two nights and three days and it poured rain the entire time. By the end of the trip my body was composed primarily of pizza and cappuccinos. It was one of the best trips of my life. I contemplated moving to northern Italy after those three days (I still toy with this idea every so often) and so when fate would have me back in Europe, I was determined to re-visit this place that I fell in love with and visit the things that time constrained on my previous visit. I brought two of my girlfriends with me and we spent a perfect autumn week roaming around the Italian Alps. A huge thank you to Süd Tirol for helping us make this trip so perfect. The first time that I visited the Dolomites I stayed in the town of Cortina d'Ampezzo in the Hotel Ambra Cortina d'Ampezzo. We returned and found a great deal online (which included parking) for a room with four beds and spent three nights using it as our home base. Within Parco naturale Tre Cime (note that this is a national park and there is a 30euro fee for any car entering it) there are a number of hüttes, the largest and most accessible is the Rifugio Auronzo. We also hiked to Dreizinnenhütte which was unfortunately closed when we visited in October. Be certain to check these online beforehand! We ate nearly every meal at Ampezzo Pizza. With authentic Italian pizza at non-tourist prices we had no reason to go elsewhere. For coffee and dessert a walk around town will offer many options, but my preference is Bar Café Embassy. Within the park, the hüttes all offer full board and the Rifugio Auronzo accepts both cash(euros) and credit cards. If you end up driving from Cortina to Alta Badia, make the detour and stop at Rifugio Scoiattoli for lunch - you won’t regret it! Both times I have visited Tre Cime we parked at Rifugio Auronzo and hiked to the east for sunset and to the west for sunrise. I am not certain if there was any reason behind this but the hiking trails within the park are seemingly endless with breathtaking views around every twist and turn. We visited during the off season and nearly everything in the region was closed. Thankfully Sunara in Colfosco opened their doors to one of the most comfortable stays. We had a two bedroom apartment with laundry, a full kitchen, two balconies and some of the fastest wifi of all time in Europe. If you are looking for something unique, the Lagazuoi Hütte located at the top of the cable car in Lagazuoi has one of the most picturesque outdoor saunas I have ever seen in my life. With a little bit more planning we would have spent one of our nights in Alta Badia atop this mountain, taking the cable car up in the evening, spending the following morning exploring the nearby alpine lakes and hiking down in the afternoon. The best breakfast that I have had in all of Europe (and possibly the best brunch decor, think Alice’s Adventures in Wonderland meets the alps) was at the Hotel Ladinia in Corvar. We did not stay at the hotel but made reservations for breakfast after a sunrise hike and did not regret it for one second! For dinner we went with a wonderful seafood restaurant, Restaurant La Stria. Although it says casual on google we felt a little bit under dressed in our “mountain chic” attire. The restaurant was absolutely full of locals and the food was to die for, note that there is no English menu. Sunset - Lagazuoi - take the gondola up before sunset and either take the last gondola down, stay the night or bring your headlamps and hike out in the dark. Sunrise - Gran Cir hike - this is quite popular so you will not be alone, but it is one of the best views from our trip looking over Alta Badia as well as Val Gardena. Santa Barbara in La Val - a picturesque alpine church if you are in need of a break from hiking. My next trip to Alta Badia I am adding this multi-day backpacking trip to my itinerary. Looking for more ideas for things to do, places to see and things to eat in Alta Badia - download their visitors guide here. We arrived at the Fermeda Hütte via Col Raiser cable car on their final day for the season. They are open both in summer for hiking and in the winter for ski season. A hut in Europe is more akin to a high altitude hotel than a North American alpine hut. With a full restaurant, bar and rooms larger than my apartment we felt very silly asking the boy manning the cable car if we needed our sleeping bags for the night. This hütte is owned by a young couple and their three children and they make you feel like part of the family during your stay. We stayed up far too late eating delicious food and celebrating the end of a successful season. This was our final night in South Tyrol and I could not have imaged a better sendoff. When staying in alpine huts you pay for full board (or half board depending on the hut) - the food at the Fermeda Hütte was delicious and bountiful. In the town of Val Gardena stop by Chalet Gerard for dinner and their famous apple strudel. The main photography attraction is Seceda. If you are looking to do the hike for sunrise or sun set you will need to stay on the mountain. We stayed at the Fermeda Hütte and took the Col Raiser cable car up. From the hut it was just under an hour hike to the lookout for Seceda. If you are not worried about the time of day, there is a cable car from Urtijea that will take you all of the way to the lookout point. A large number of people camp at the top of Seceda but I am unsure on the legality of this so I can not speak to it. Looking for more ideas for things to do, places to see and things to eat in Val Gardena - check out their visitors guide here. The access road to Alpe di Siusi is technically closed to vehicles with the exception of people staying in the small town at the top. To avoid this being an issue, we stayed at the Berghotel Zorzi. From there it was an additional 3-5km to where we spent our sunrise. Our stay with Berhotel Zorzi included family style dinner and breakfast with the entirety of its guests faring from nearly every corner of the world eating together in one large dining room. As a note, they home make their croissants every morning and I may have taken a few with me for the drive out! There are plenty of other restaurants near Alpe di Siusi - have a look here. Sunset - Church St. Valentin, a beautiful church nestled in the alpine surrounded by dramatic mountain vistas . Sunrise - Seiser Alm, this is the main draw for this region, as mentioned above the access road is technically closed to vehicles not staying in the Alm. A lot of my research suggested renting electric bikes and we saw countless at sunrise stopped alongside the road. Looking for more ideas for things to do, places to see and things to eat in Alpe di Siusi - check out their visitors guide here. This was the one hike that I was unable to do on my first trip to the Dolomites and the highest on my list for this trip. There is a small hütte located at the lake but it was already closed for the season. We hiked in the dark and made it to the lake for sunrise. In October the glacial lakes are at an all time low but even with only a fraction of the water, Lago di Sorapiss is a must visit lake for your trip to the Dolomites. One of the most popular lakes in all of Europe for very good reason. Lago di Braies is absolutely beautiful and its boathouse is iconic to say the least. I recommend going first thing in the morning for the calmest water and fewest people. Note that you will need to pay for parking at Lago di Braies and several of the parking lots only accept cash. In the nearby town of Prags stop at the Speckstube Eggerhof for a cappuccino, wifi and power outlets if you are in dire need. Looking for more to do around Lago di Braies? One of the most underrated lakes in all of the Dolomites. There is no hike to Lago di Carezza but rather a small trail that circles the lake. There is parking across the street from the lake (there is a parking fee) and a few shops and restaurants available. Packing for several weeks on the road and also knowing that I would be sharing the car with two other badass outdoor women, I packed light (or tried to). My go-to outdoor pieces were the Patagonia Bivy Vest (which I eventually purchased in both the army green as well as the dusty rose color) and the Black Diamond Cold Forge Down Hooded Jacket. Thin layers are somehow what occupies almost all of my suitcase space. I picked up the Patagonia Organic Cotton Quilt Snap-T Pullover Sweatshirt just before this trip and it has very quickly become my favourite layering piece. Other than that I will throw in as many white, grey and black long sleeve base layers. There are so many so choose from and it all comes down to fit and material preference. Click here for some options from Smartwool, Norrona, Patagonia, Arc’teryx and The North Face. I almost exclusively wear tights when I hike (with the exception of a rain shell which I brought but did not pull out of my backpack once on this trip). My reason has very little to do with look/style and more to do with the range of motion that they provide as well as not being worried that they will get caught on anything as I hike, scramble and climb. From there it is all about personal preference. I look for something high waisted (after all of the cheese I have clearly been eating) and compressive. The North Face, Backcountry, Prana, Alo Yoga among many other brands all make amazing tights for hiking in. Anyone who has been following along for a little while knows that, after a full year hiatus, I have given my Danner Mountain Light Boots a second chance. They took a very long time to break in but I found myself tossing them in my bag (alongside my trusted white Converse sneakers) for nearly all of my non-technical trips this season. This is something that I have always had a hard time recommending. The primary thing to consider when purchasing a backpack is the fit. I have a long and narrow torso and found the Patagonia Nine Trails 36L Backpack to fit me very well. After you’ve got the fit down, think about size - my mantra when picking out a backpack is that the less space you have the less you have to pack. Also a pack without empty space will be more comfortable to carry. 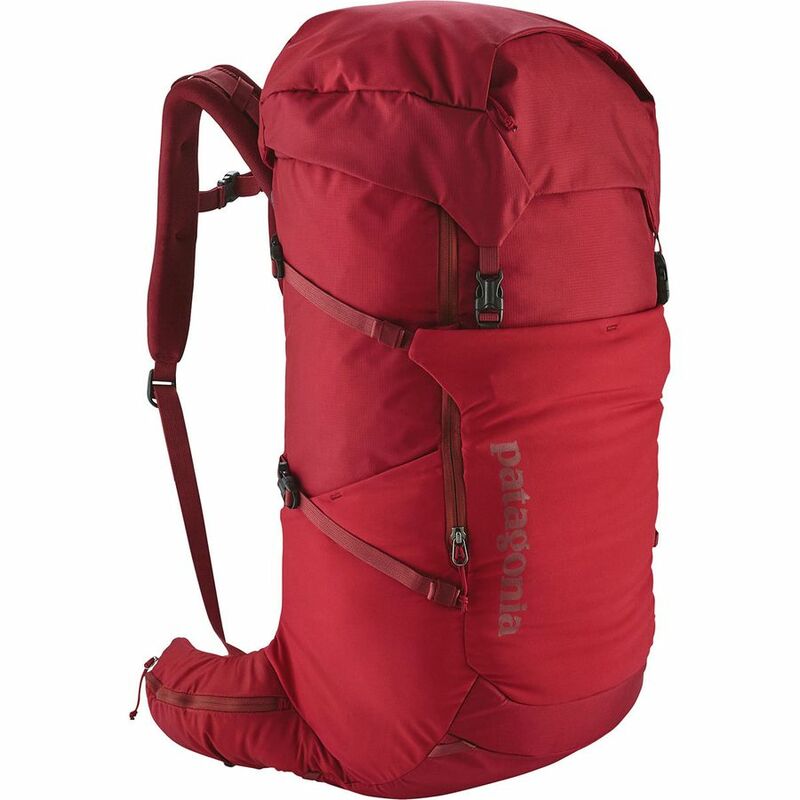 I like the 36L capacity for day hikes. Whenever travelling, a reusable water bottle and coffee mug are the first things to hop into my bag. Not only does this lower the instances in which you will have to debate purchasing a disposable water bottle, but also it helps to ensure that you are always drinking water. The coffee mug is more of a necessary luxury with me, but go for an insulated mug and you will not regret it! 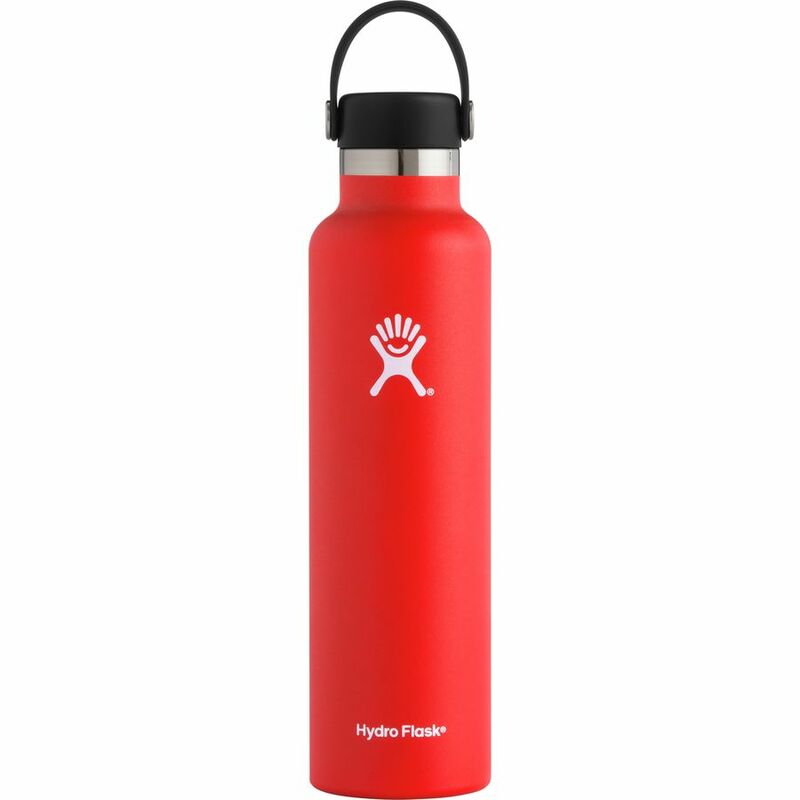 I have had the same Hydro Flask for five years (knock on wood I don’t lose it) and recently picked up an Insulated Camp Mug (make sure you get one with a lid). I am often asked about my luxury item when hiking and backpacking. Well everyone, this is it. 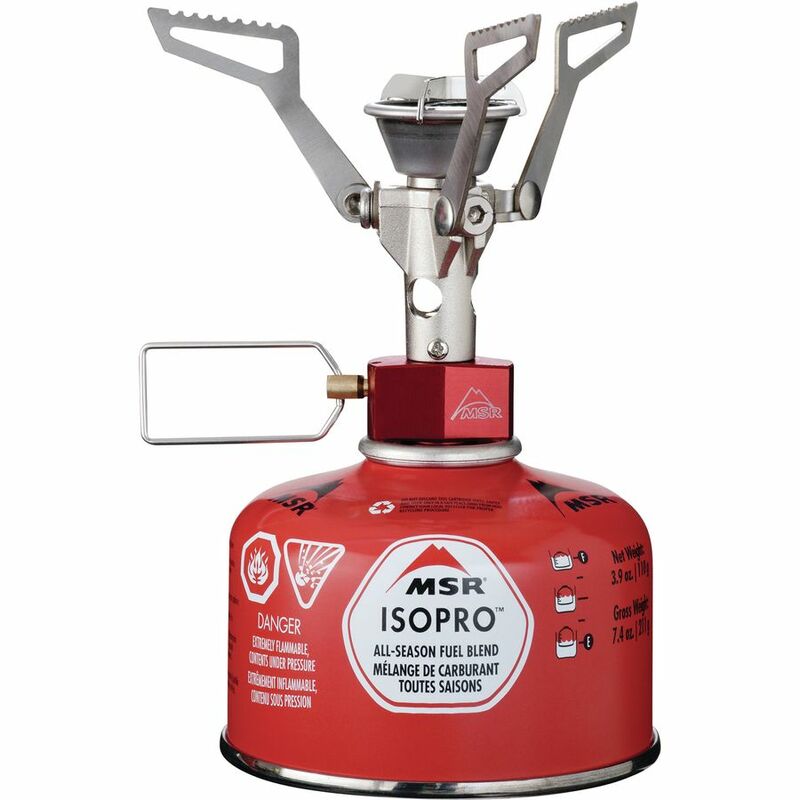 I bring my little MSR PocketRocket 2 Stove and Snow Peak Trek Combo Titanium Cookset (normally just the smaller pot) with my on nearly every day hike. I never know the conditions at the top and a cup of coffee, a bowl of oatmeal or a cup of soup can make all of the difference on a cold mountain top. Word to the wise: make sure that you research where to buy fuel with the correct adaptor when travelling, we found fuel easily in Patagonia but it took far more work in Europe on this trip (and Kelsey and I are no fun without our morning coffee).